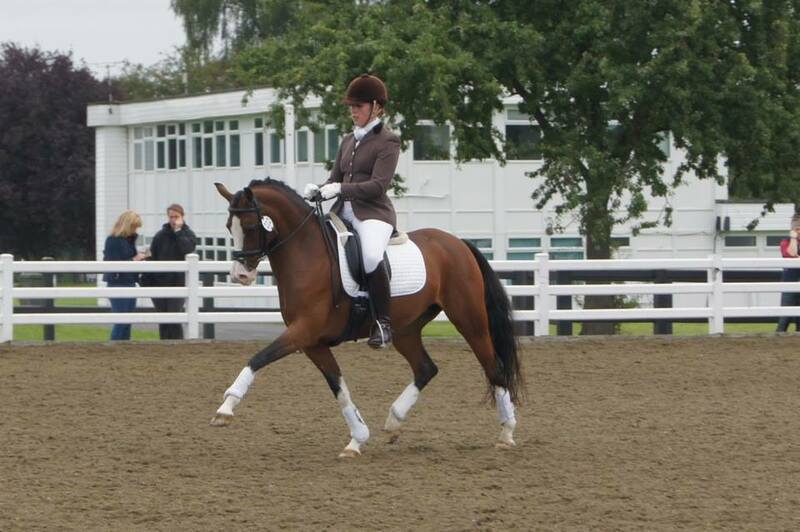 With 6 horses at the Nationals, and several clients competing as well it was a very busy 4 days! All the horses were on their best behaviour, even the babies Nora and Lainey who have never stayed away from home settled in well and were true professionals! 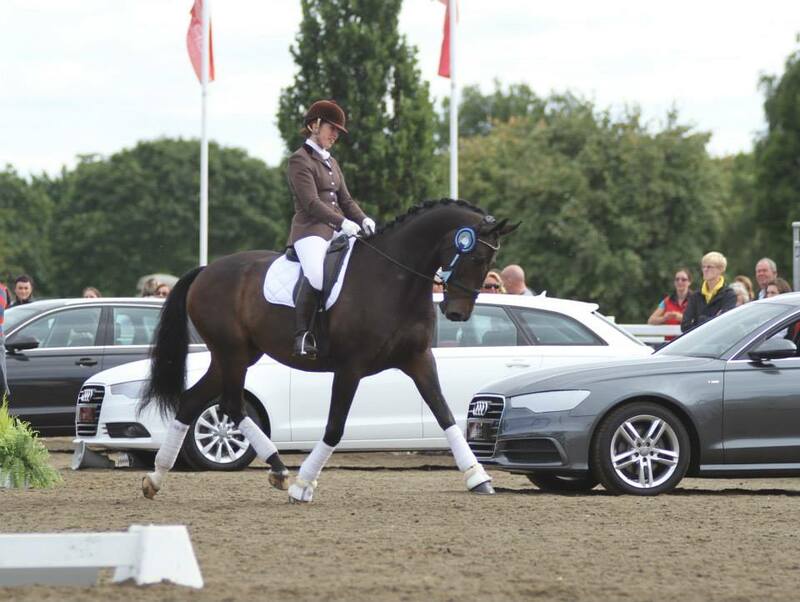 On Thursday and Friday it was just Don Angelo competing in the PSG and the Inter 1. 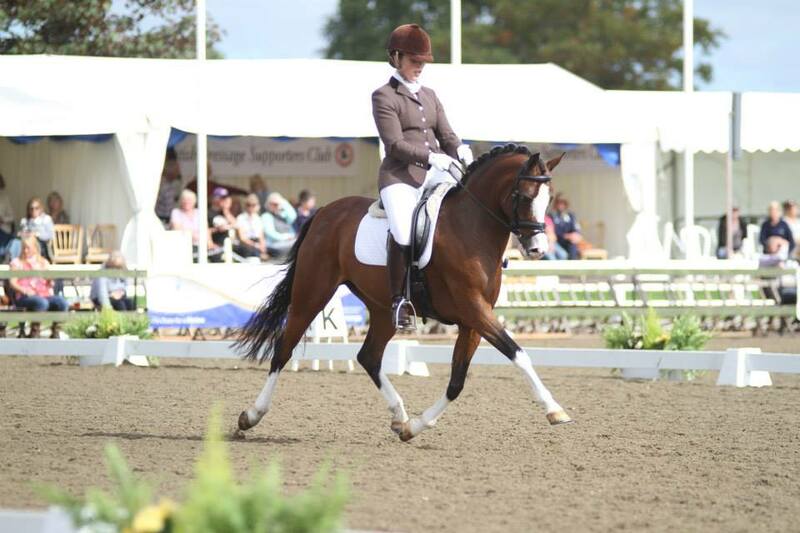 Donald made a couple of mistakes in the PSG as he was quite ‘hot’ so Becky had to ride him tactfully, still scoring 70.55% in a big tough class to come in 9th place. Still quite excited by the atmosphere of the Nationals on the Friday Donald got 69.58% and 7th place to take them through to the music on Saturday 🙂 Donald finally chilled out and performed a fantastic Inter 1 Freestyle to Dr Who (kindly borrowed from Wally :-)) This took him into 3rd place with 74.35% very closely behind 1st and 2nd place. 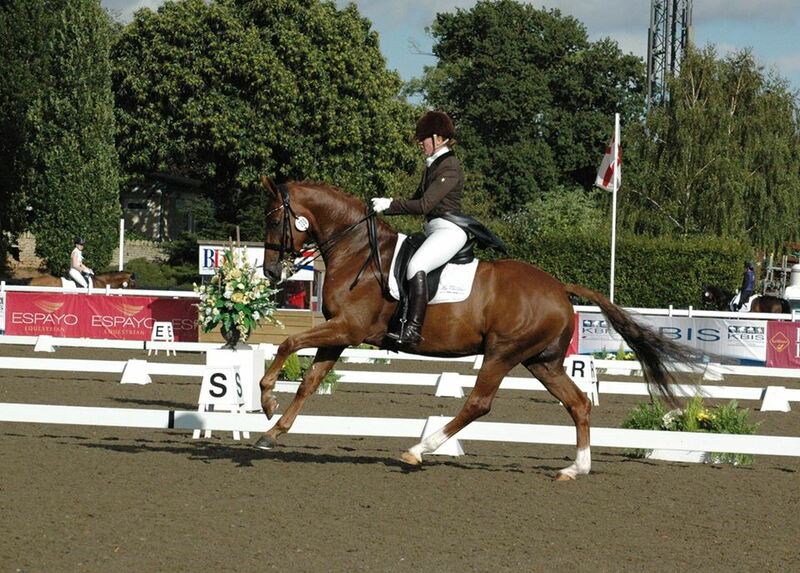 Donald in his prize giving, twit twooo! 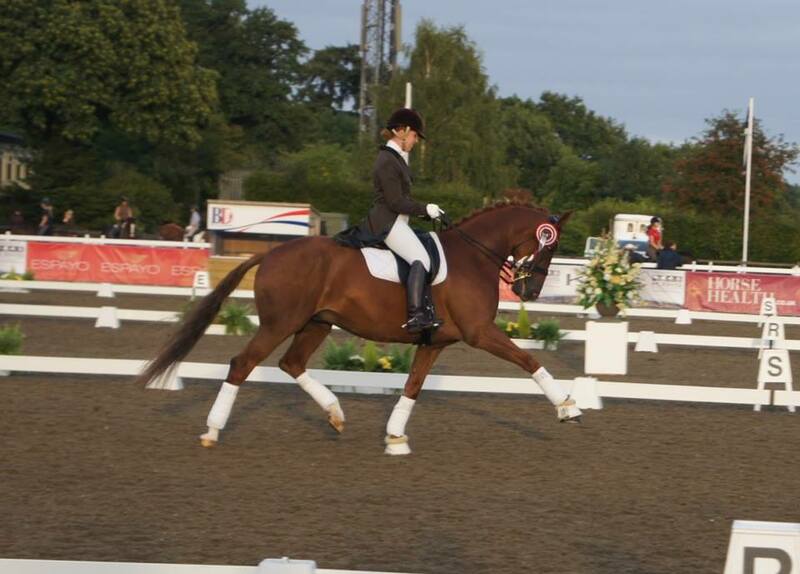 Jack and Dot both competed in the Medium Open class with Becky where the competition was fierce! A bit of tension in both cost them the higher marks, Jack came away 6th and Dot 12th a little disappointing but onwards & upwards! Onto Sunday and it was Jack and Dot on again, Jack in the Elementary and Dot in the Advanced Medium! Jack performed a much better test until a very unfortunate incident happened on the final centre line. As Jack was coming to his final halt he stepped into a double tie wrap cable (which had been left from a previous exhibition) and it ended up around his left hind leg, he quite rightly was worried about it and leapt into the air off the centre line, poor Becky could not understand what was going on and managed to get him back onto the centre line for his final halt, which he stood very well for. The judges then noticed the tie wrap around his leg and removed it straight away in the arena. The movement should really have been performed again but then it was too late, there were mixed marks for that movement which unfortunately cost them 1st place as she ended up 2nd by just 0.18%. Jack after his terrible ordeal! Last but certainly not least Dot stole the show, as standing at just 14.hh she trotted into the arena to perform her Advanced Medium test with Becky and got an ‘aaaawwww’ and a round of applause! It really was a great test including lovely expressive changes 🙂 and got a big cheer at the end! 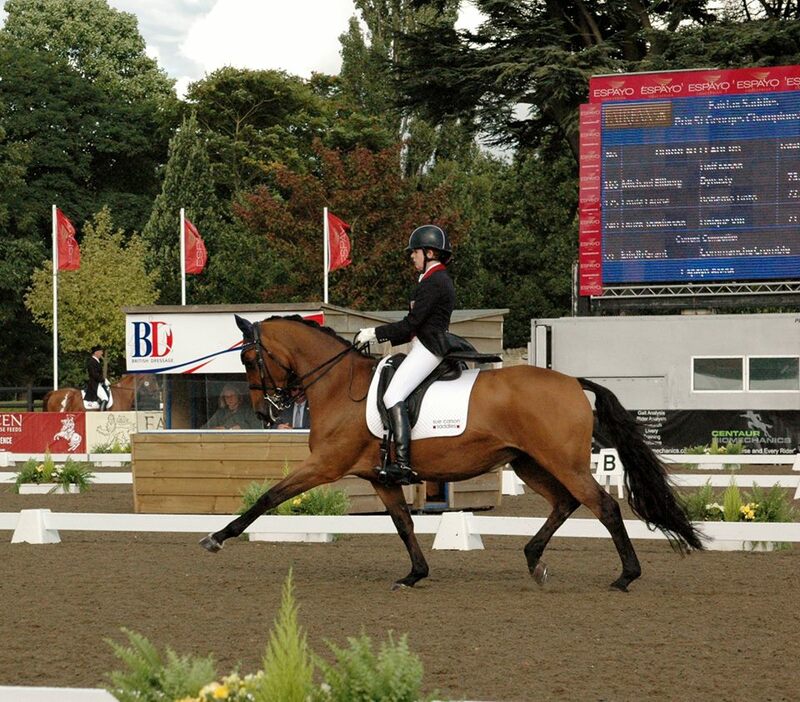 They just missed out on 70% to get 69.11% and coming 5th against some big top class horses! Dot in the Advanced Medium! 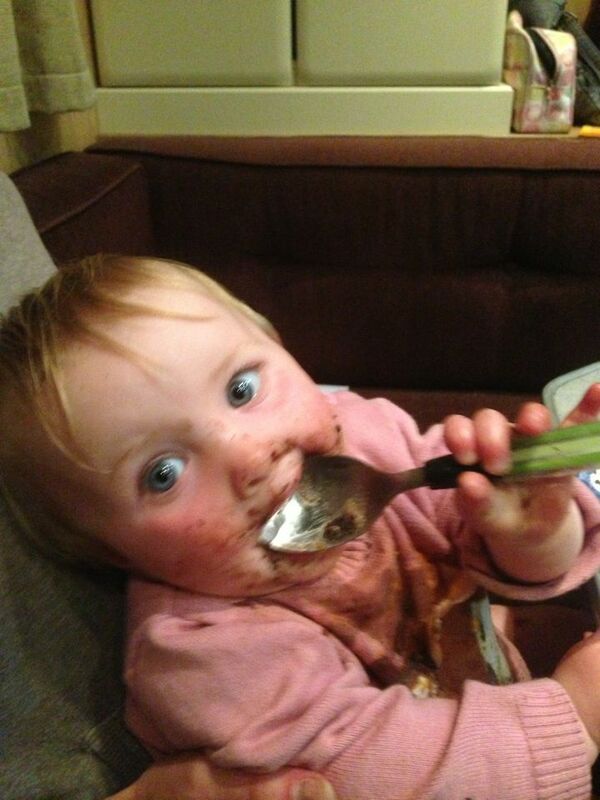 Our little mascot Eva kept us all very entertained throughout the show, and she looks like she enjoyed herself too!